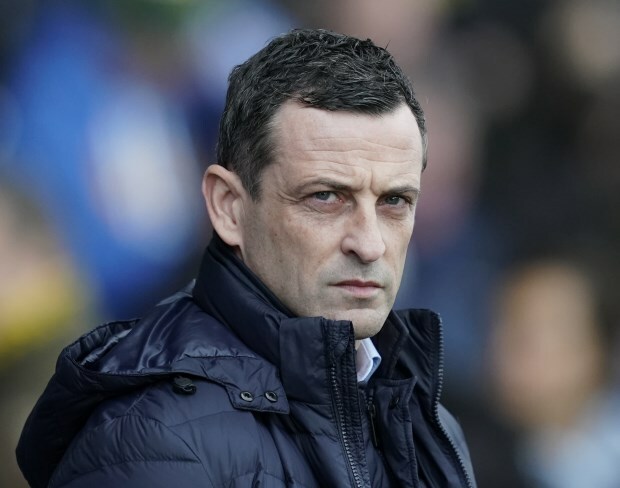 Sunderland boss Jack Ross has told the club's fans to direct any frustration at him and not his players, following the Black Cats' damaging 5-4 loss at home against Coventry City. Ross' side started as favourites to take all three points against Coventry to keep up their automatic promotion push in League One and after a thrilling first half at the Stadium of Light found themselves at 3-3 at the break. Coventry then pulled ahead 4-3, before Sunderland made it 4-4 with 20 minutes left. But Mark Robins' men had another goal in them and scored a fifth at the Stadium of Light in the 78th minute, when Conor Chaplin struck. Coventry secured the three points and Sunderland are now third in League One, with 80 points from 41 games. Portsmouth took full advantage of Sunderland's slip-up by thrashing Rochdale 4-1 to sit fourth and level on points with the Black Cats. Second placed Barnsley beat Fleetwood Town 4-2 and are two points ahead of Sunderland, but having played a game more than the Black Cats. With games running out, Ross has urged the Sunderland fans to stick with the team and direct any frustration at the result to him, rather than his players. He told the club's official site: "The supporters were good today, they were terrific today. "I've acknowledged in the past about the help they have given us, but I've also acknowledged this is a tough place to play because of the expectation on players' shoulders and the responsibility we have to give fans a winning team. "Now there will be plenty that will leave today frustrated and disappointed", Ross explained. "What I would say is if you are frustrated and disappointed aim it at me, don't aim it at my players. "They need every single bit of help they can get on the park from now until the end of the season, home and away, so if you've got frustration direct it at me, not at my group of players. "They will keep giving you what they have on the park and it is a time for sticking together." Sunderland are next in action at home against Doncaster Rovers on Friday, where Ross will be looking for his men to bounce back.